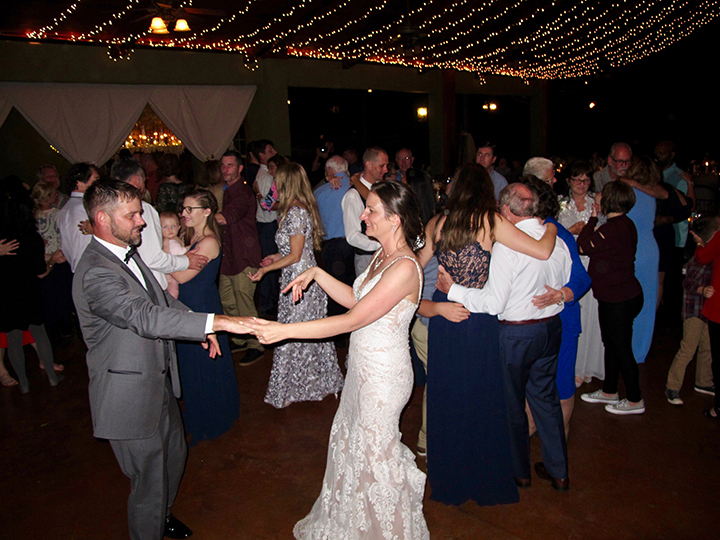 Skyline Ranch Weddings with Orlando DJ Chuck Johnson… what a Fantastic Time! Erika and Jason celebrated their reception at Skyline Ranch. Weddings here are amazing! 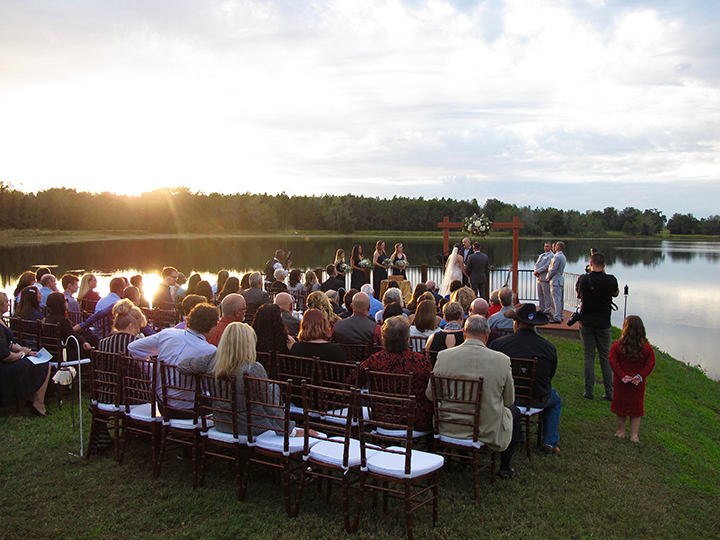 Set right next to a lake, sunsets are a part of your ceremony. The natural setting ranges from rustic to luxury. You can feed the horses or relax by the fireside. Create your own s’mores or have a cocktail. 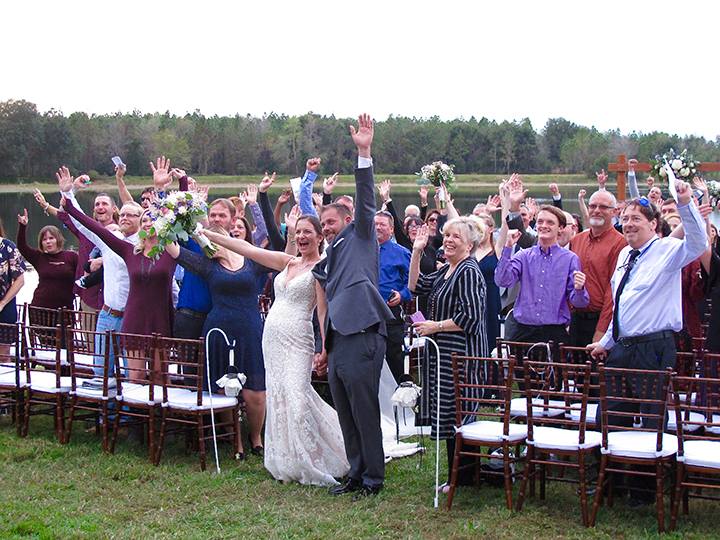 The options never end at this incredible Groveland Wedding Venue. Today’s wedding started next to the lake at the ceremony. As advertised, the sun set with perfect timing. The guests explored the Ranch while the couple got pictures. After the Cocktail Hour, everyone had their meal in the Pavilion. 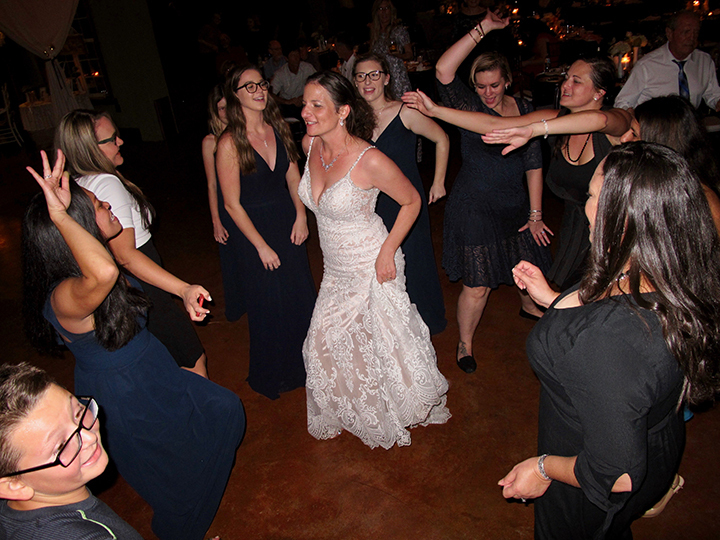 After dinner, dancing did not stop until the very end! Under sparklers, Erika and Jason said good night. 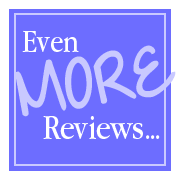 Thinking about having your reception at Skyline Ranch Weddings? Congratulations to Erika and Jason on your Special Day! 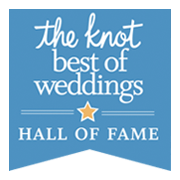 This entry was posted in Specialty Wedding Venues and tagged Skyline Ranch. Bookmark the permalink.